As a physician, you know that medical advances have made it possible for people to live longer, healthier lives. At the same time, however, living longer could mean outliving retirement funds. And while the financial wellbeing of physicians is generally better than most Americans, you still have more immediate concerns that could delay saving for retirement—for example, student loans, practice-related purchases and leases, and home mortgages. Even if you are saving, volatile markets might put the money you have put away at risk. You may already participate in retirement options that can help build your savings, such as 401(k)s, 403(b)s, and IRAs. But there’s an easy, flexible, affordable new way to complement your retirement strategy. 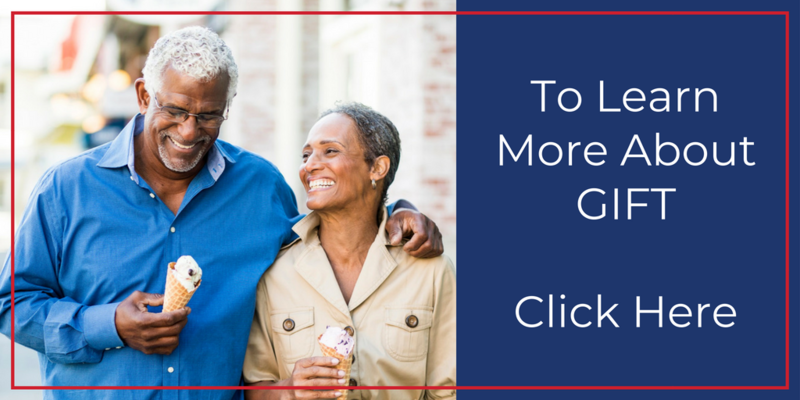 Guaranteed Income For Tomorrow* (GIFT)® is a deferred income annuity designed to provide you with a regular, guaranteed income stream for life beginning on a date you select. It can complement your overall retirement strategy and may help meet your future financial needs with steady income you can’t outlive. GIFT is issued by Prudential Annuities Life Assurance Corporation and, in New York, by Pruco Life Insurance Company of New Jersey. You determine if GIFT will help fill any gaps you may have in your retirement strategy. Visit www.prudential.com/GIFT-TMA for resources you should review. You decide to enroll in GIFT and start by contributing a lump sum as low as $10,000 or as little as $100 per month¹ –through transfers from your bank account. You use a secure Prudential website to monitor GIFT and start, stop or modify your contributions any time. You will automatically begin receiving your guaranteed lifetime income once you reach your Income Start Date chosen at the time you enroll in GIFT. Visit www.prudential.com/GIFT-TMA. While there, you can read more about GIFT, watch a video, and use the GIFT tool before you decide. ¹Minimum monthly contributions are $100 if you set an income start date that’s more than 20 years from the date you enroll. The monthly minimum is $200 if you set an income start date that’s 20 years or less from the date you enroll. If you do not contribute to your contract for two full years (three if you live in New York State when you purchase GIFT), and the total monthly Annuity Income Payment you have built up so far is less than $20, we reserve the right to terminate your contract and pay you a lump sum. Annuity contracts contain exclusions, limitations, reductions of benefits, and terms for keeping them in force. Annuity Income Payments and any distribution made under the annuity are subject to ordinary income tax. Prudential Financial and its affiliates do not render tax or legal advice. GIFT is distributed through direct response solicitation with no financial professional involved. You need to determine if GIFT is right for you. Prudential is providing educational materials so you can make an informed decision. GIFT may not be available in all states. Contributions are defined as Purchase Payments in the Contract.